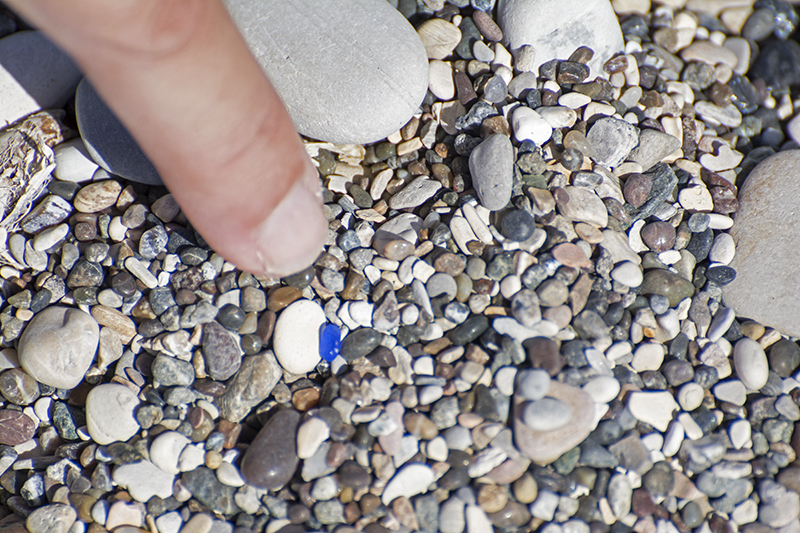 A good portion of the sea glass we found were under the size of a dime as most of the rocks were around that size. 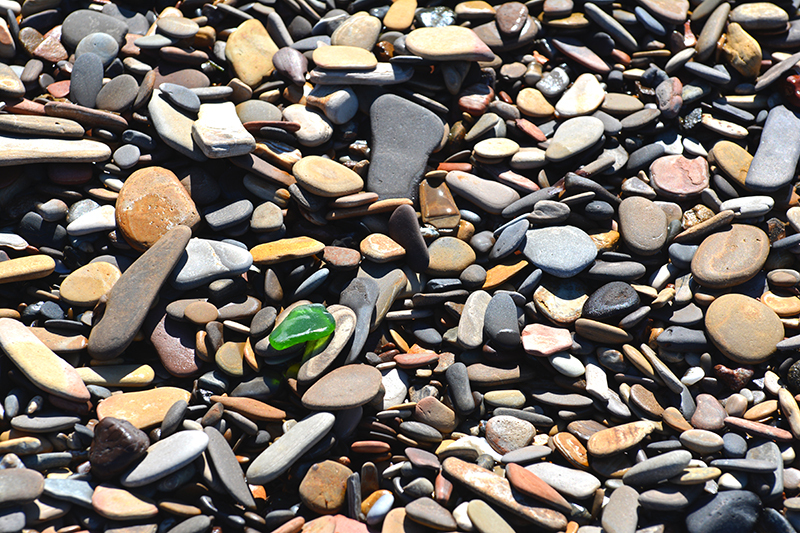 Further up on the beach, the flatter rocks didn’t yield any glass except for one quarter sized green piece. 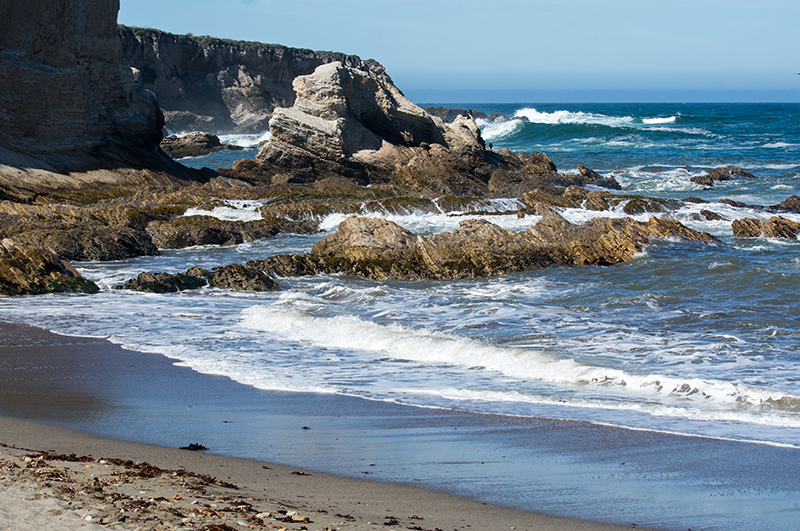 When I first heard of this cove, I thought maybe it would be this magical place where every inch of rock was filled with one sea glass piece after another. I pictured a Shangri-la for hunters like me, sadly it was not like that. You really had to use all of your skills to find it, especially with tiny brown and green bits of kelp strewn around. 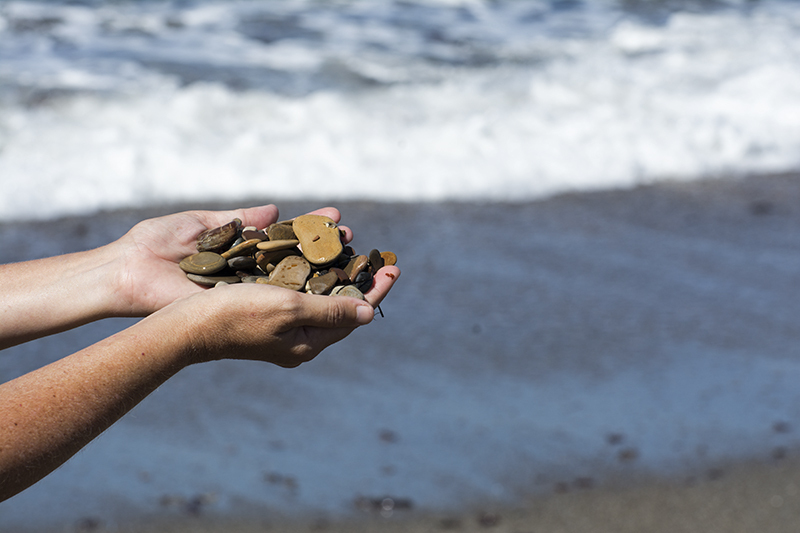 Just when I thought I saw a piece of sea glass, I ended up picking up a chunk of slimy ocean seaweed. In fact I almost bypassed that large green piece as I wasn’t about to be fooled again. I took my chance and bent over to pick it up and was glad I did! 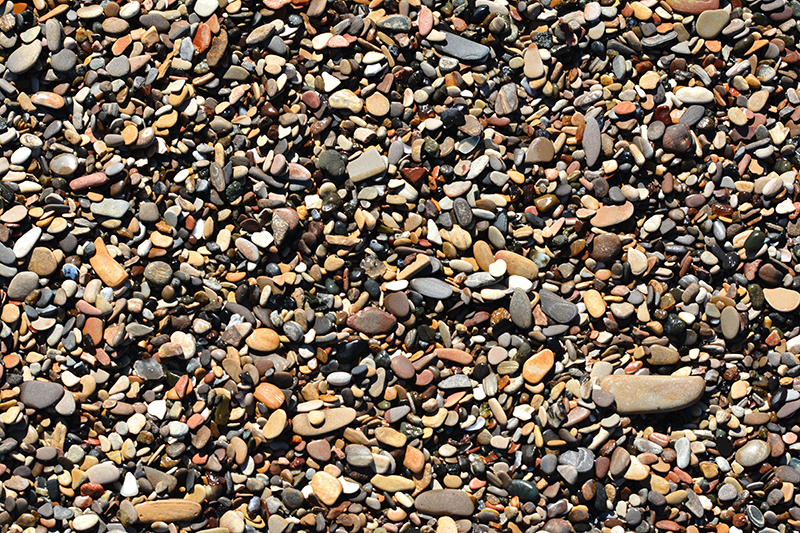 Don’t get me wrong, I loved sea glass hunting here. We didn’t come home with a bunch, or even large pieces, but what we found were of good quality. 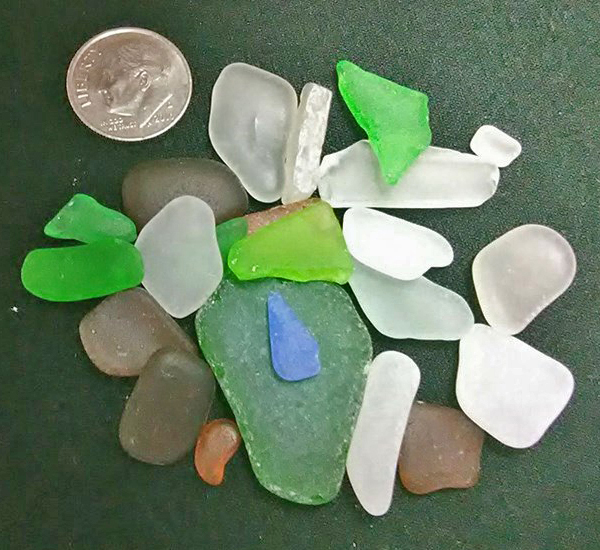 I had in my pocket about 20 pieces of hard earned sea glass. It was hardly enough to get excited about, however, you can’t beat spending a few hours in a setting as beautiful as this cove. As we were leaving, I noticed how many more cars were in the parking lot, I looked across the beach and there were way more people than when we started. It is still a great place to visit. After Spooner, we drove south along a one lane road that reminded me of what the coast highway must have looked like way back when. 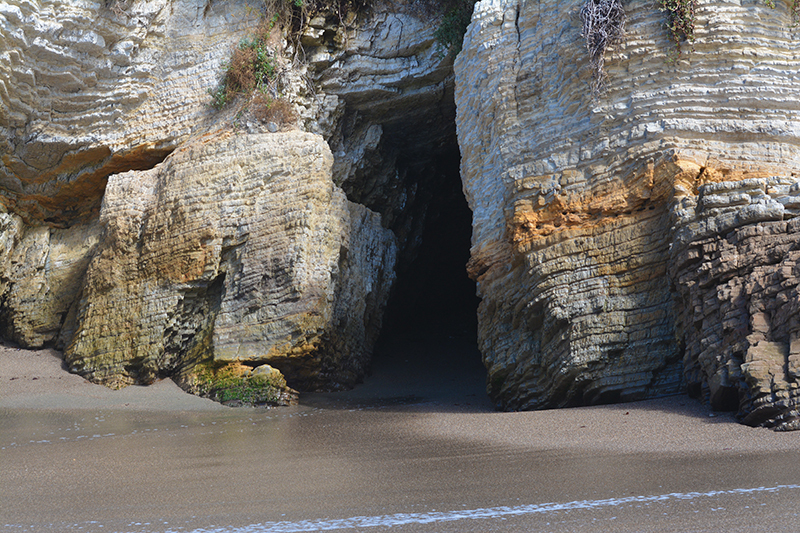 It wandered parallel with the coast with bluffs and rock formations jutting out in the sea. There were walking and hiking trails everywhere, and even a place for horses! It was a beautiful drive that heartbreakingly came to an end. With the car turned around and now facing north, we decided to head back north and see what the town of Los Osos was all about. 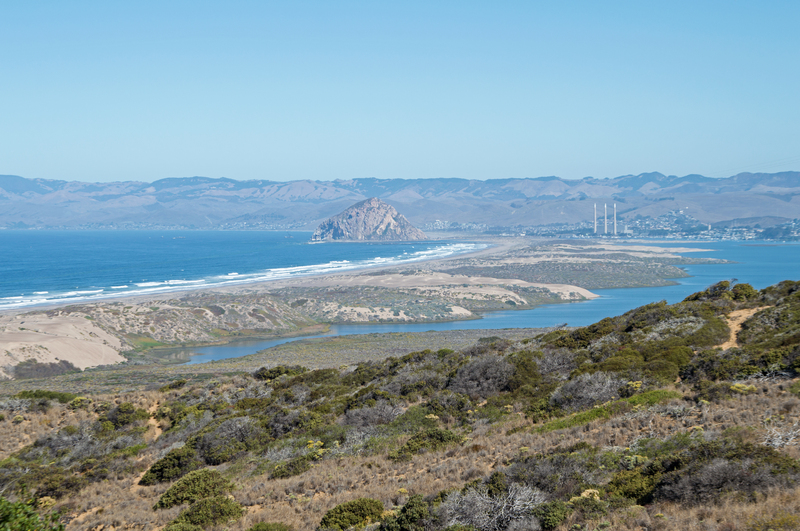 Los Osos is locared on the south end of Morro Bay. With a population of about 16,000, it isn’t the touristy place like Morro. We followed a sign that said restaurants and soon were sent down a residential road towards the water. We got lost a little, however, it gave us a chance to check out some of the homes. 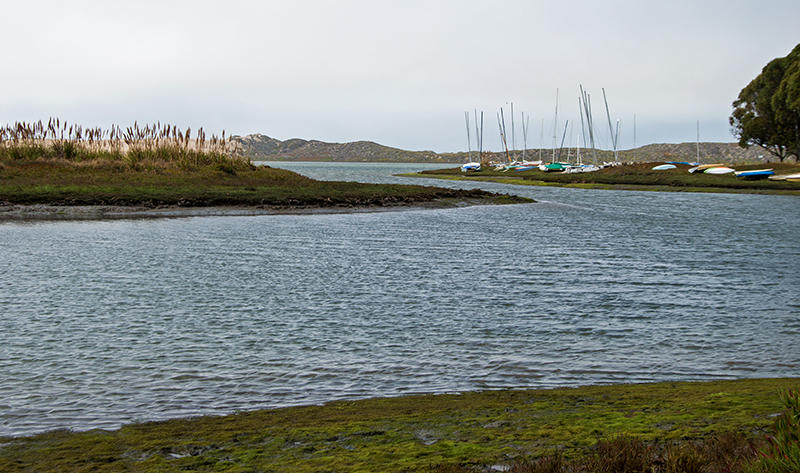 Quite a few were situated perfectly to look out on a smaller bay with a tiny inlet and channel. 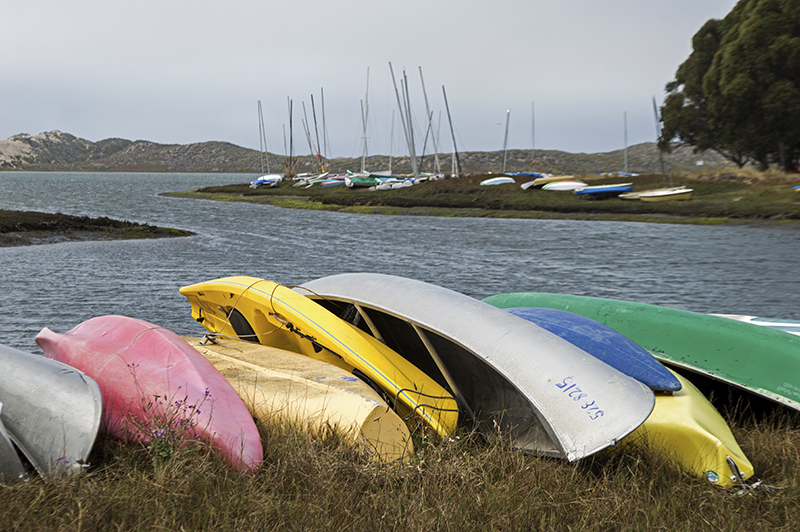 Kayaks, SUPS’, and canoes were laid out on the sand in anticipation of their owners taking them out for a spin on this tranquil bay. Nothing was locked, so I am hoping that I am assuming correctly that there is no theft in this area. 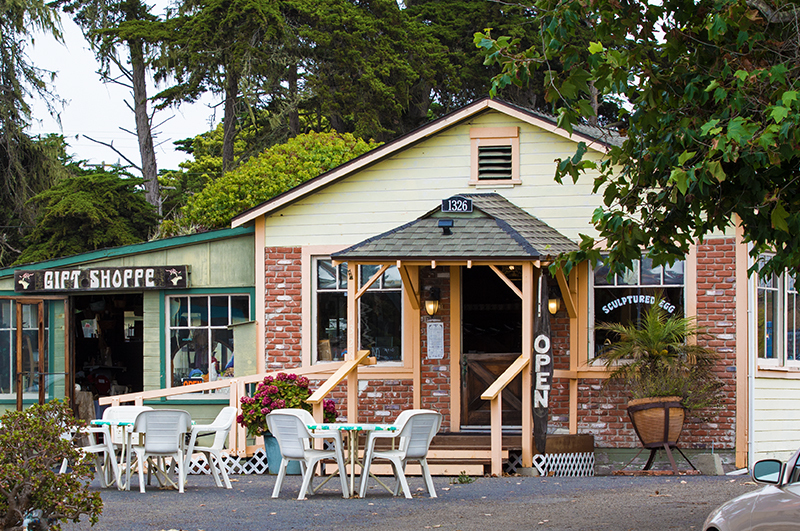 When we found the so called business district, there were a few charming cafes, gift shops, and the quaint Blue Heron Inn. 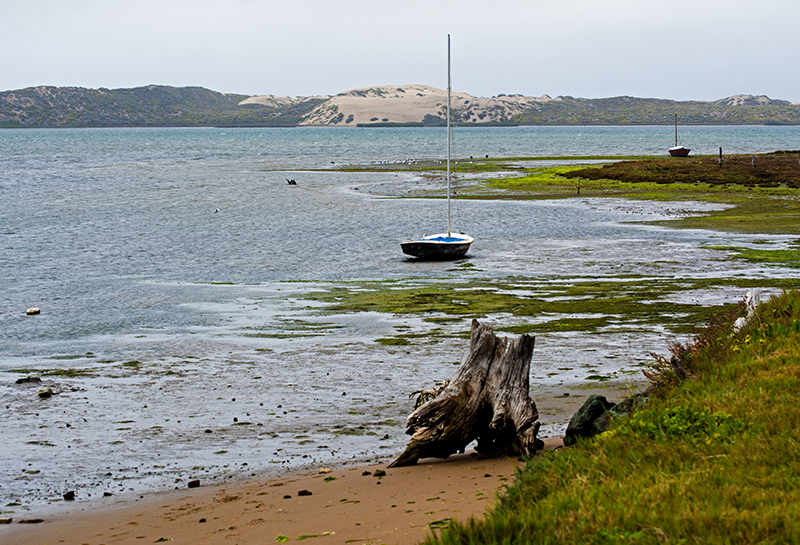 All were set against the back drop of a smaller inlet and the sandy dunes in the distance. 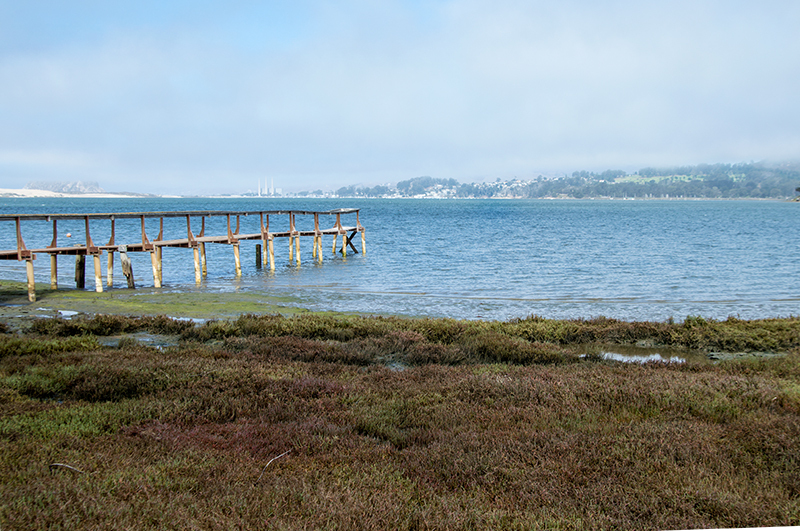 It was getting gray now as the marine layer was fluttering its way inland. This is the way it is in this area, the coastal eddy is a common occurrence. Too bad, it took away from what would have been some great photos, I snapped anyway. As we made our way out of town, we saw a sign for the Elfin Forest so we thought we would check it out with plenty of time on our hands. 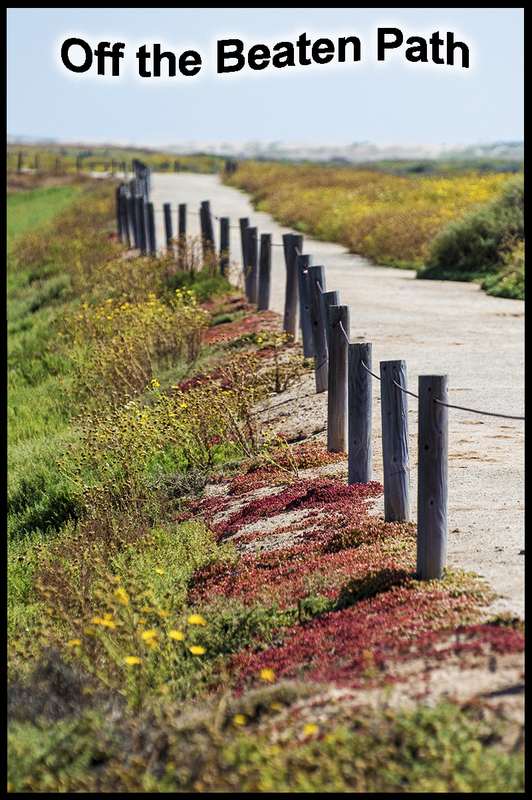 The Elfin Forest is a 90-acre area belonging to San Luis Obispo County Parks with trails upon trails that you can walk along at no charge. 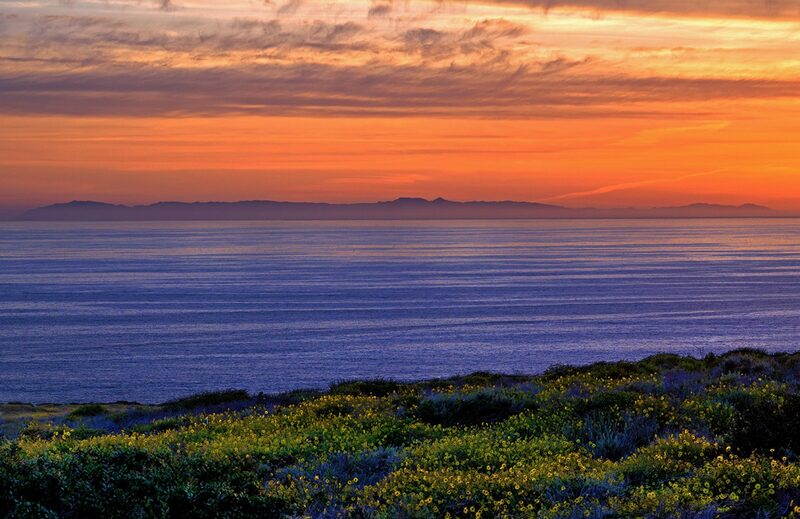 The Elfin Forest supports more than 200 types of plants and is home to many species of birds. 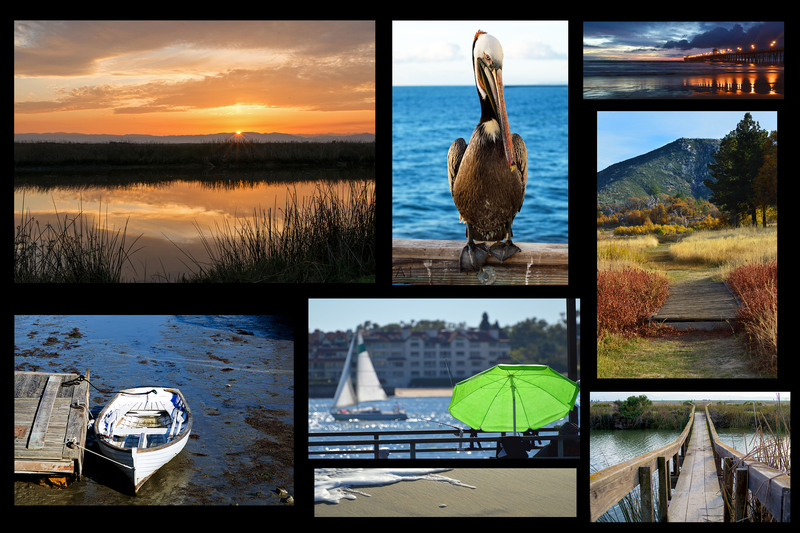 Some parts along the way, offer you with amazing views of what they call the Back Bay, complete with estuaries and offshoot waterways. The loop provides access for young, old and people with walkers or wheelchairs. Just to get a taste of it, we strolled for a little bit until we reached the view points. It was a spectacular view and made me get a way better feel for this area, with all of wildlife and nature. In the car now, we drove back to our hotel only to pass by large groves of beautiful eucalyptus and a sizable golf course with its vibrant greens and sand bunkers. 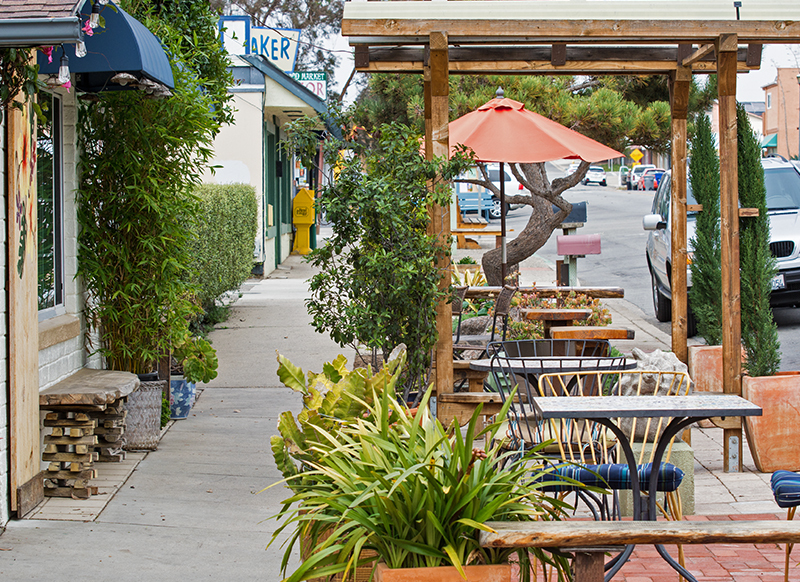 I had never heard of Los Osos, and now I know that it is an un-crowded relaxing town with access to the bay, hiking, beaches, plus from what I read, a lively music and art scene. 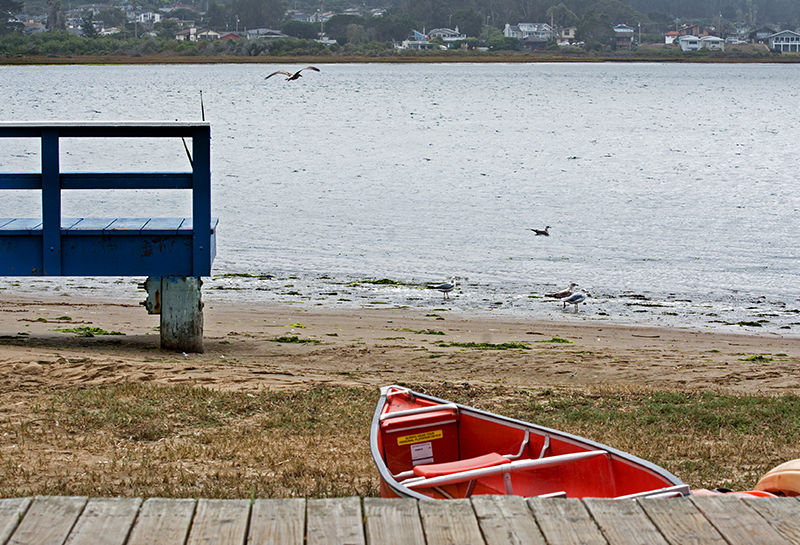 Los Osos isn’t on most people’s lips as a place to go vacation but with it is close proximity to Morro Bay and its sleepy quaint ambience, you might want to give it a try. I know I am glad I spend time to explore.